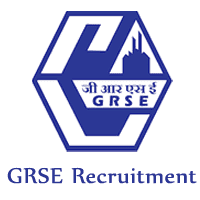 GRSE Jobs Recruitment Notification 2019.Garden Reach Shipbuilders & Engineers Limited (GRSE) A Government of India Undertaking under the Ministry of Defence inviting applications for the positions of Junior Hindi Translator and Supervisor vacancies in Mechanical, Admin & HR, Electrical Maintenance, Finance, Welder, Painter and Naval Architecture disciplines.Interested and Eligible candidates can apply for the positions. Contenders can get the post wise education qualification details by checking the official notification. The complete notification is not yet published. Upper age limit for applicants is 28 years as on 01st March 2019. The selection criteria is not yet disclosed by the officials. Once released wie will update here. ONLINE mode of applications can be submitted for GRSE Recruitment 2019. The online registration starts from 02nd April 2019 and ends up by 23rd April 2019.